Since inception, demand for our products and services has continued to grow. From quietly supplying Hong Kong's hotels, bars and private clubs we have continued to expand, now providing cigars and accessories to leading hotels, bars, restaurants, private clubs, shops and aficionados in Hong Kong and around the world. Our continuing success stems from our total commitment to customer service and satisfaction. Now, we have expanded our clientele again to provide you, the private aficionado, with the very best quality, genuine Havanas at the most competitive prices. In recognition of your demand for excellence, we offer a 100% money-back or exchange satisfaction guarantee. (See our Guarantee & Shipping). We have been distributors of Habanos Cuban Cigars since 1997. Our offices and warehousing facilities are set up in Hong Kong and Switzerland in order to benefit from their world renown DUTY-FREE ports. These bonded warehouses are duly controlled by Customs and relevant government agencies; we have successfully been granted the proper permits and licences to operate such warehouses. When we export directly to you we pay no duties or taxes so these savings are passed on to you. Other countries such as the U.K and Canada do not offer such systems and impose exorbitantly high duties on tobacco, which in turn have to be incorporated into the price of the cigar. Throughout the years, we have had the opportunity and honor to meet and become friends, in some cases, close friends, with some of the most renowned individuals in the business. 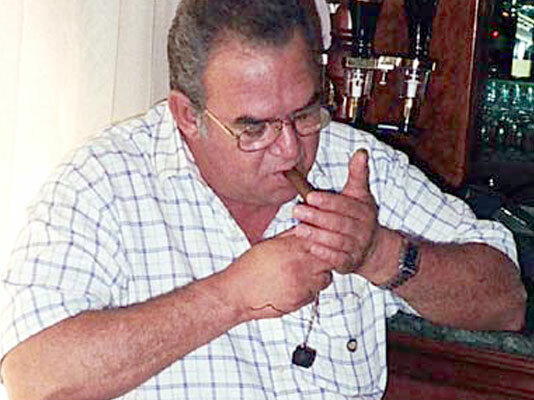 Enrique Mons, one of the world most knowledgeable cigar aficionados, has often shared his expertise with us. 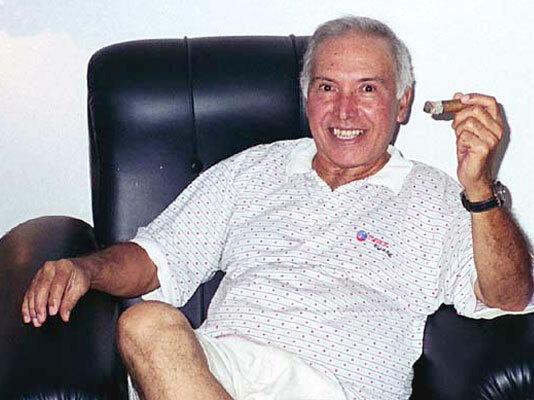 Benito Molina, former president of the H.Upmann factory, and his wife frequently invite us into their home where we have interesting discussions on quality control and counterfeit cigars, all while savoring vintage cigars and sipping on Cuban coffee. 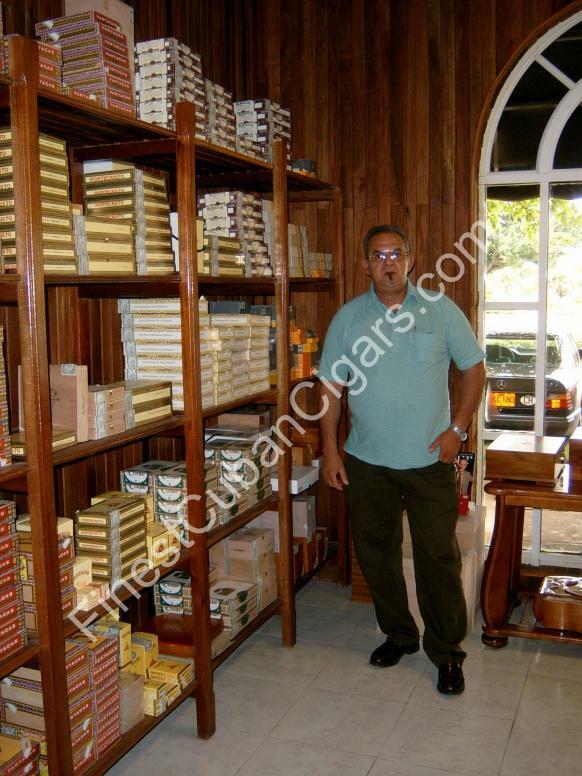 Mr. Molina is often invited by Habanos to speak on counterfeit Cubans and is often called upon for his expertise on quality control. Alejandro Robaina, known for growing the finest wrappers in Cuba on his Vuelta Abajo farm, has invited us to visit his farm. 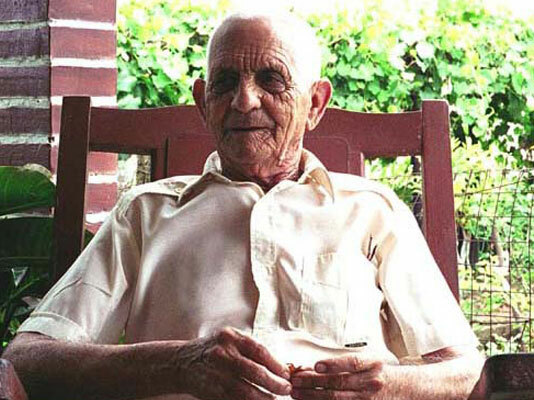 Mr. Robaina has shared his knowledge and experience with us on the long and complicated process of making a cigar. Indeed, numerous steps are taken from planting the tobacco seed to rolling leaves into cigars- 2 years and over 150 steps. Mr. Robaina has also shared with us his memories and photos of the numerous trips he took as a result of prestigious invitations received and accepted around the world. Mr. Robaina was kind and generous enough to leave us with some antique memorabilia, which he personally autographed.